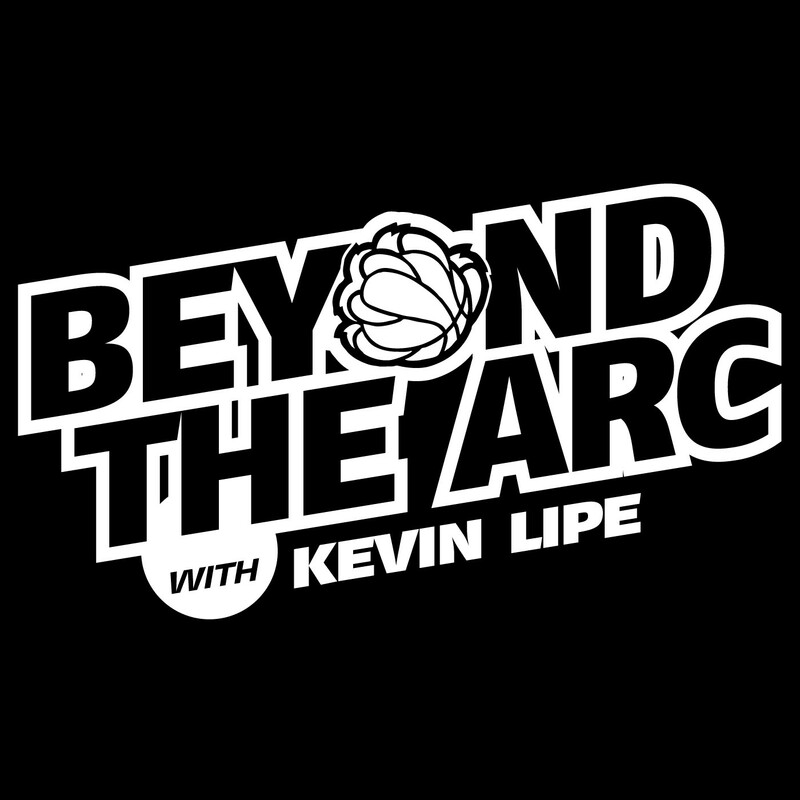 Note: The Beyond the Arc podcast is on a bit of an unplanned hiatus due to some personal situations and some equipment failures, so co-host Phil Naessens and I decided to do an email back-and-forth about the topic(s) we would have discussed this week had fate not intervened. Enjoy. 1). NBA players serve a one-game suspension for racking up 16 technical fouls. With the rash of ejections this season, should the NBA consider suspending players after a certain number of ejections? If so, how many and how many games? 2). 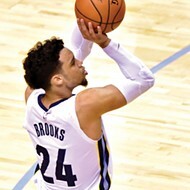 Are we disappointed the Grizzlies have been on a "hot" streak (they won two games a week ago) and messed up the tank? Kevin Lipe: I like the idea of treating ejections like red cards. You're tossed from the current game, and you can't play the next one. (I don't want to make teams play with 4 players after an ejection, though... 4 on 5 is a little different from 10 on 11.) Seems like a way to incentivize... not getting ejected. But that's also on the refs and the way they've called technicals this season, which I think has been a big problem. We talked about this on the show already but I think it's only going to get worse in the playoffs. Player/ref relations are at a very low ebb this season. As for winning too much... we'll see. I know Orlando won last night, and Atlanta almost did... this Kings game on Friday night has become a "must lose" situation. I think they can manage it—after all, they have Ben McLemore available to play 48 minutes. PN: I would treat ejections by case; if it is for a Flagrant Two then they are banished for three games. If it is for mouthing off I would give them a pass after the first one; then I would suspend them for three games after the second ejection; five games for the third, ten games for the fourth, and the fifth one they are done for the rest of the season. Winning too much? In a way it's a good thing as it still shows the players haven't quit. To me there isn't much of a difference between 1-5 anyway. They could all be really good or just average journeymen. Depends on need and opportunity I guess. McLemore needs to show folks he can play but he's done more than enough to show me he probably isn't going to help win games unless he is injured! 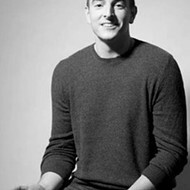 KL: I think that makes sense, but I also just like having a concrete rule rather than taking things case-by-case. When you do that, you generally end up with a system that suspends regular guys and keeps superstars out of trouble. That seems to be how things go. Since Doncic is a European guy, I want your take on him, because I know you watch a lot of Euro ball still. What's the biggest hurdle for Euro guys coming to the NBA? Is it speed, like everybody says? Because that seems like a bit of a cop-out to me. 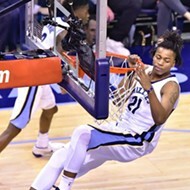 What kinds of things make that transition difficult, and how worried about it should the Grizzlies be if they were going to draft him? PN: Ok... you win but if you look at the amount of ejections and who's at the top superstars are the ones getting bounced the most this season. Doncic is the real deal. The Spanish Pro League is no joke and for him to be doing what he has been doing at his age is truly remarkable. He's quick not fast. I guess you call it sneaky quick. The boy is a real playmaker and ain't afraid to mix it up down low and fight for a rebound. His high release reminds me of Klay Thompson and he is going to be a very good defender. Sometimes he tries to get too cute and turns the ball over, but Kevin, this kid is the real deal. Maybe not superstar franchise-changer real, but real in that he starts at the two guard for the Grizzlies on opening night and contributes immediately. Some European guys have told me the speed was much quicker than what they were used to, but the adjustment period wasn't that difficult. These are still world-class athletes and as we have witnessed in World Competition: the best hang with the best. I think the most difficult adjustment is the playing time. These players for the most part are superstars in their leagues and get the full complement of minutes. In the NBA they are rookies and are usually treated as such; a mistake in Europe means the coach might yell at them. In the NBA a mistake, especially one that costs their team a game, might mean extended pine time. That messes with their confidence BIG TIME. The other thing that I hear is hard to get used to: the travel. 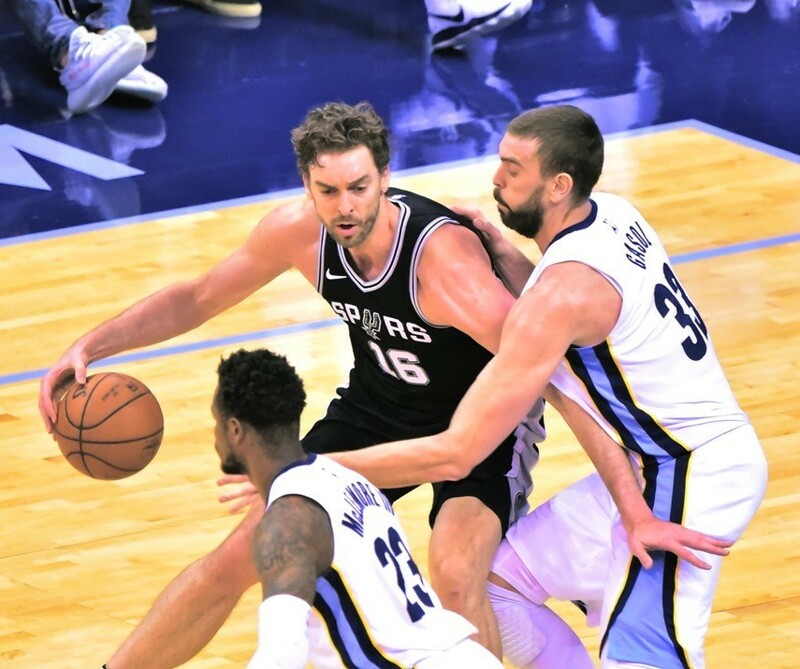 In Europe they might have maybe two long flights (four hours or more) and just one road game per week per season whereas in the NBA they could be subject to back-to-back flights of four hours or more, and five to seven game road trips. They say the road trips are the worst for this; in most cases when player A comes over they bring a girlfriend or family member and lots of times both. These are the folks they can speak freely with, especially when they are struggling. Not having those people around to vent to — it makes things worse and lots of guys say adios to the NBA because of this. If not Doncic, is there someone else you like? KL: No, not really. I think he's perfect for what they need, both now and for the next few years. They've been desperate for playmaking and scoring at the perimeter for years, and he gives them that, even if there are some speed bumps along the way. I think even though they have to start preparing for life after Gasol, they probably aren't ready to move on from him yet (at least, not under the current ownership/management situation) and thus taking Ayton or Bagley complicates matters. My worst fear is that they'll take Porter because he's injured and he fits the mold for a player that Chris Wallace takes a chance on. But the first top-5 pick in almost a decade is not the time to take a chance; they basically have to get this one right or else they're totally screwed for years. The stakes are probably slightly higher than they were with the Thabeet pick, even. I hope Doncic is who they pick, and I hope they get the #2 pick so the Suns can take Ayton and they can have Doncic all to themselves. But so often, the thing that I hope for with the Grizzlies is not what happens. PN: So you are saying that it might be Wallace doing the drafting? Man, him being at the wheel is a scary thought. What are the chances this could actually be the case? If the Grizzlies somehow get the top pick, would Wallace (if he is still driving the bus) pass over the person that fits an immediate need like Doncic does and chase after Ayton? KL: We don't know, is the answer. It seems like a bad idea to let a guy who might be on the way out do the picking, but at the same time, if nobody knows who's going to own the team, they have to act like everything is going to continue the way it is indefinitely. I think it's possible that they could go for Ayton, but to me, I think it's so blindingly obvious that Doncic fits better with what they've been lacking for years that it's unlikely they'd pass over him. Plus, I think the Suns want Ayton anyway, and they'll probably end up with the #1 pick. Maybe not, though. It just seems so straightforward to me that I feel like anything else would be a huge mistake. PN: Straightforward and the Suns seems like an oxymoron to me lol... that organization would be relegated if they were a soccer club in Europe. So... MarShon Brooks got himself a contract. What do you think of this? KL: He's played well, but I don't know why they needed to go on and sign him to a guaranteed deal for next year. I don't understand why this team, the past two years, rolls through the summer with all 15 roster spots already full, knowing guys are going to have to be cut. They know they've got a first and second round pick coming in this year, too, so that's two more roster spots (or at least one; theoretically the second rounder could be a guy they stash in Europe or a guy who doesn't make the cut). It took until the last day of the preseason for the Griz to cut Wade Baldwin and Rade Zagorac, and they're just setting themselves up for the same scenario this year. I think Brooks has been fine. He's a bench gunner; we all know that. Can he do it on a good team? We'll have to see, or, at least, we'll see if the Grizzlies are a good team next year. I'd have been fine with signing him for the rest of the year (all four games left) but... the next-year part just doesn't make any sense to me. Invite him to camp and see what happens from there. PN: This is one of the reasons I think Chris Wallace has to go. Very few teams go to camp with all 15 spots on the roster filled. 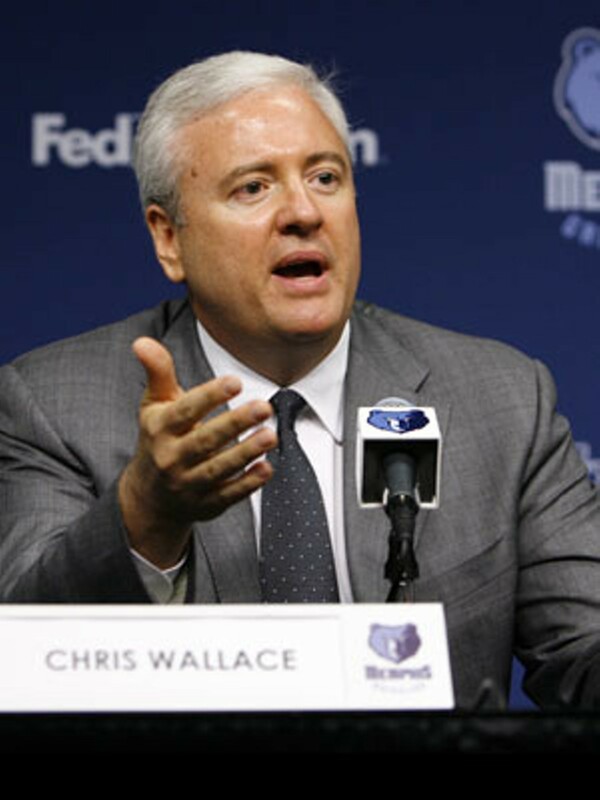 Wallace reminds me more of a Fantasy Basketball General Manager than a real NBA GM. What I mean is he seems to fall in love with players having a hot couple of weeks rather than just developing a crush and moving on after a couple of dates. It's why Fantasy Owners lose and why the Grizzlies luck has run out. All that being said I like Brooks. I liked him when he played briefly for the Nets. I really thought good things were ahead for him. Maybe they still are and maybe just maybe he is next season's Tyreke Evans. So you bring him to camp next season and you wait and see. But signing him to a two-year deal, three games into a ten-day contract, makes ZERO sense. Zbo is back again......are you excited to see our old friend? Do you think he will play? KL: Who knows. The Grizzlies aren't playing anybody, and normally I'd say that means Zach isn't playing, but in this season... anything is possible. I certainly don't think the Kings want to win the game, but I don't know what that means—will they play the vets so they can lose, or play the young guys so they can lose? Which Kings roster grouping is more likely to lose to the back half of the back half of the Grizzlies' rotation? I like Zach. I like watching him play. 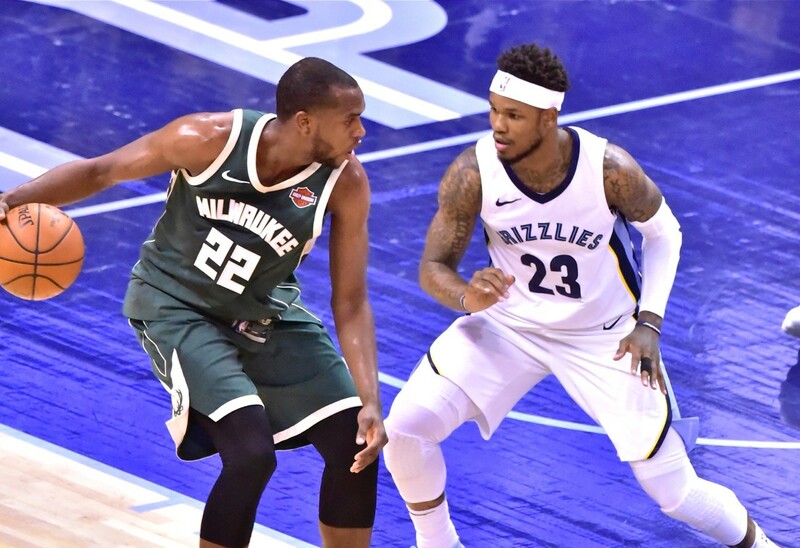 Watching him languish on a terrible team has been a bummer, but the reality is that if he'd been on the Grizzlies this year they wouldn't have been much better than they were anyway, so it's not like the situation would have been much different if he were here. Fewer minutes for some of the young bigs, I guess. There are only four games left. We can do this.